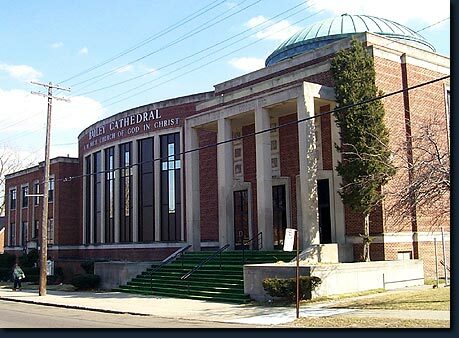 The Synagogue began modestly in 1943 to serve the religious needs of the Jewish community in Northwest Detroit. Some 52 members formed the nucleus of a small, neighborhood congregation and applied to the State of Michigan for a charter under the name “Northwest Hebrew Congregation.” High Holy Day Services were conducted in 1944 in a building on Livernois near Seven Mile Road. A traditional service was led by a guest rabbi and cantor. Between Rosh Hashanah and Yom Kippur, the first election of officers took place, and by resolution of the new Board of Trustees and a decision of the general membership the congregation joined United Synagogue of America in February, 1945, thus officially identifying with the Conservative Movement. Membership grew dramatically, and the need for permanent quarters became evident. In the fall of 1945, under a huge tent, a ground-breaking ceremony was held on Curtis Avenue for the initial wing of the Synagogue. By September, 1946, we had 400 member families and had decidedly outgrown our school facilities and private service quarters of preceding months. Plans were made to establish a branch of The United Hebrew Schools within the new building, the first such union of a communal Hebrew School and a Synagogue in Michigan. That same year the Synagogue purchased a 25-acre cemetery on Six Mile Road near Middlebelt, now called Adat Shalom Memorial Park. 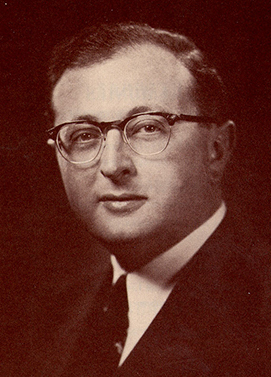 In August 1946, Rabbi Jacob E. Segal was engaged as the Synagogue’s first spiritual leader. As the congregation grew, attention focused on the beauty of the worship service and cultural expression of the Jewish People. Rabbi Segal was the congregation’s founding visionary, whose view was that the Synagogue was the center of the Jewish community. Pavel Slavensky became our first permanent cantor, succeeded in 1949 by Cantor Nicholas Fenakel, who served for 26 years. Along with a now active Sisterhood and Men’s Club, an Institute of Jewish Studies was formed, the Religious School blossomed, and the first Confirmation took place in 1948. Having celebrated our 50th anniversary in 1995, the congregation continues to play a vital role in the lives of more than 950 member families, in the Detroit-metropolitan Jewish Community, and in the Conservative Movement. Our Adat Shalom-Beth Achim Learning Community offers educational and social programming from Parent-Toddler classes through 12th grade. Family and adult education programs, social action opportunities, affiliates comprised of our Sisterhood, Men’s Club and Social Action Committee, Tikkun Adat, Empty Nesters, and Young Adult Group all combine to make Adat Shalom stronger than ever. In June, 1998, members of Congregation Beth Achim overwhelmingly approved a merger with Adat Shalom Synagogue, along with the sale of its building to the United Jewish Foundation. Following months of merger negotiations, the Beth Achim congregational vote was the last in a series of official steps leading to the two congregations worshiping together in Farmington Hills by the 5759 High Holy Days. 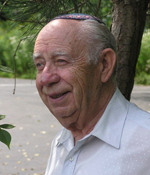 Cantor Larry Vieder z”l passed away on October 12, 2008. Cantor Vieder served the Synagogue for 48 years. During that time, he has earned wide respect as a compassionate friend and an inspirational teacher to hundreds of Adat Shalom youngsters and adults. After his official retirement in 1993, he continued to work with Bar/Bat Mitzvah students, officiate at High Holy Day Services, and remained very much a vital part of the congregation up until the time of his death. He was active in the Cantors Assembly, was a life member of its executive board, and was honored by the Assembly with the Kavod Award for 40 years of distinguished service. Cantor Vieder was given an honorary Doctorate Degree in Music by the Cantorial School of the Jewish Theological Seminary. He was supporter of many Jewish organizations. He was survived by “his” Gitta, loving sons, daughters-in-law, grandchildren and great-grandchildren. Rabbi Efry Spectre was the rabbinic leader of Adat Shalom for twenty-two years, beginning in 1978. Under his direction, we became one of the leading congregations in the Conservative Movement and a strong supporter of the Jewish Theological Seminary, United Synagogue of Conservative Judaism, and, in Israel, the Masorti (Conservative) Movement. After the Six Day War, Rabbi Spectre vigorously advocated for the cause of Jews in the former Soviet Union. He received many honors worldwide, was recognized with an honorary doctorate from the Seminary, and chaired the Rabbinic Cabinet of Israel Bonds Conference in Jerusalem. Locally he was a vigorous spokesman for Jewish concerns, serving on the boards of numerous organizations. Rabbi Spectre made an indelible impression on our congregation. He led us toward more meaningful and spiritual lives, demonstrating a single-minded commitment to Jewish values and observance and to the Conservative Movement. He became Rabbi Emeritus in the fall of 1999. After this retirement, Rabbi Spectre moved to New York City and taught a course in homiletics (sermon delivery) at the Jewish Theological Seminary. The cultural offerings of the city gave him opportunities to further pursue his passion for music and theater. Rabbi Spectre died in January, 2010, and is buried in Israel. 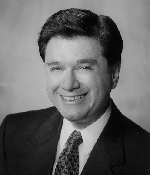 Rabbi Herbert Yoskowitz joined the Adat Shalom clergy in July of 1998. In the summer of 2004, Rabbi Rachel Shere became a member of our clergy. Cantor Frank Lanzkron-Tamarazo served as cantor from 2007 to 2009. 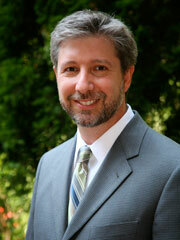 Rabbi Aaron Bergman joined our clergy in July of 2008 and became Mara d’Atra of the Synagogue in May of 2009. Hazzan Daniel Gross joined our clergy in July of 2009.